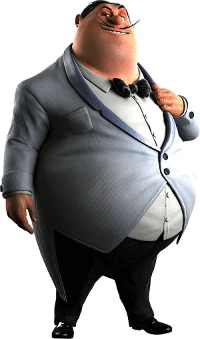 Whospunit? - You will have to go through a really long and complicated way of solving the crime. You will collect all the possible clues, find out where the murder occurred, how the victim was killed, and, finally, the main question: who is the murderer. There are only five suspects, and it's time to sort this out. Video slot Whospunit? consists of 5 reels, 3 rows of symbols, and 30 payment lines. The player, by the way, has the right to choose the number of lines to which he plays. On each line, you can put from 1 to 5 coins cost from 2 cents to $1. Thus, for one spin, you can play from 2 cents to $150! In other words, video slot Whospunit? will allow getting involved in the decision of a problem any gambler, from the beginner to the high roller! Almost anyone can play on this machine, including residents of Canada. Functional video slots Whospunit? – it's just a golden story and a great investigation. There are 3 levels in the standard game. At the first level, you will need to find out exactly where the murder occurred since the victim's body was later transferred. At the second level, you need to find out, which weapon the murderer used, and on the third level, you already find the key evidence that helps you to determine the killer. During the standard game, images of suspects and some other symbols will appear on the reels. The main thing is to collect key clues that any symbol can bring to the drums. It looks like a small coin that goes to the piggy bank of your first bonus round. Roughly speaking, this is your character's scatter symbol, which will help you in passing the levels. The game also has a wild symbol, but it occurs only in the free spins mode. In the video slot Whospunit?, the maximum possible to win is 320,500 coins. If you play at the most expensive bet, it's about $320,500! But even if you play at the minimum bet, it turns out that you can make up $64,100! For this, of course, you need not just to deal with the murderer, but also be lucky in the standard and bonus games. 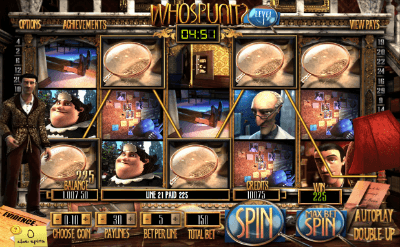 In conclusion, we note that with the video slot Whospunit?, you have a great opportunity to reveal one of the most mysterious murders of your city, and even make money on it. A fascinating adventure can last forever, because murders continue to occur in this house after the crime is solved, and the key clues from the previous investigation can proceed to the following. That means your progress will not be lost.